We’ve spent the past couple weeks coming down from our vacation high and getting back into reality, but in the meantime, here is the official route map. The total driving distance ended up at 3,624.4 miles, with an average speed of 50 miles per hour. We touched 9 states (we couldn’t resist spending one mile in Michigan just to say we did) and spent 11 nights in national parks. This is one for the record books. Stay tuned for more info, photos and stories from our adventure. 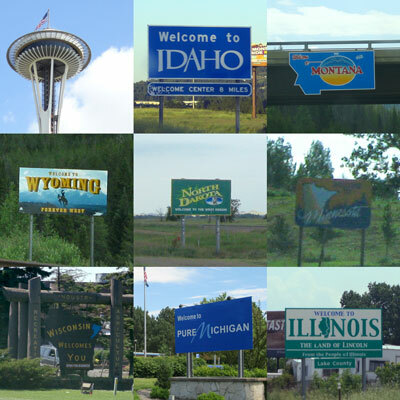 Nine states, in order of appearance: Washington, Idaho, Montana, Wyoming, North Dakota, Minnesota, Wisconsin, Michigan, Illinois. This entry was posted in Maps and tagged Seattle to chicago road trip. Bookmark the permalink. I just saw the pictures. What an amazing trip! !